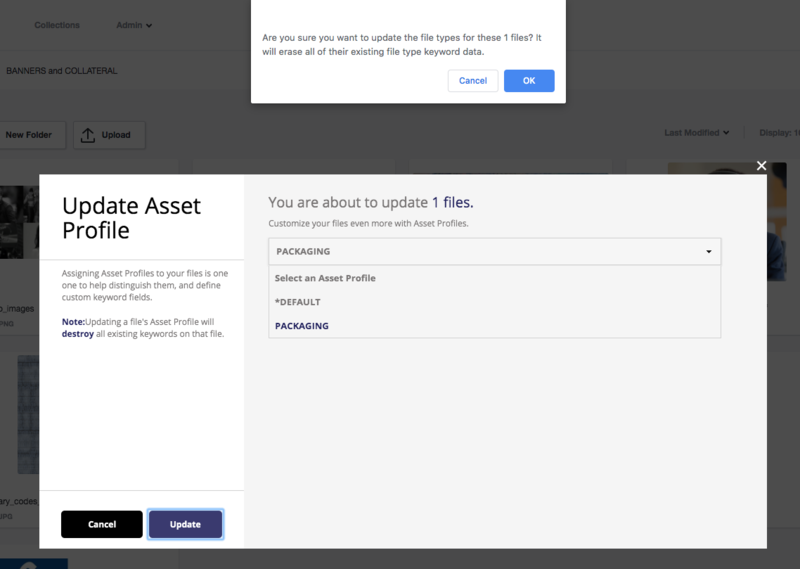 The Asset Profile of the asset controls the fields available for additional metadata. You may change the Asset Profile of a file, and so change the available descriptive fields. Note: This is an Admin task only. 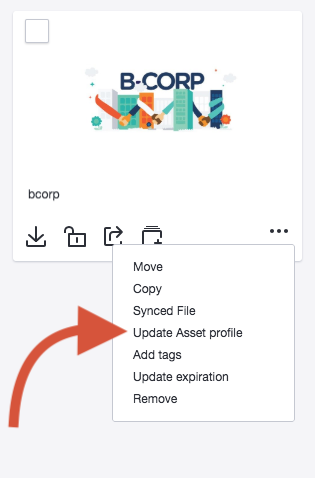 Updating the Asset Profile of a file will wipe out any previously added metadata that has been keyworded in the custom fields. Hover your mouse over the file you wish to update. Click the ellipses (...) to bring up the Admin menu. Select the asset profile you want from the drop down menu. Select the file(s) you wish to change.